It would be an understatement to say that Final Fantasy XV, the latest instalment of the long-running Final Fantasy series of video games, is an eagerly anticipated game. And even if the game has been controversial due to accusations of sexism, it is clear that this upcoming game is high on the wish lists of the millions of Final Fantasy fans out there, especially now that the game’s release date was revealed at a special event last March. But it seems that Final Fantasy XV will be more than just a video game, as Japanese publisher Square Enix has also revealed that a movie based on the game’s story, titled Kingsglaive, will be out before Final Fantasy XV’s launch on September 30 this year. 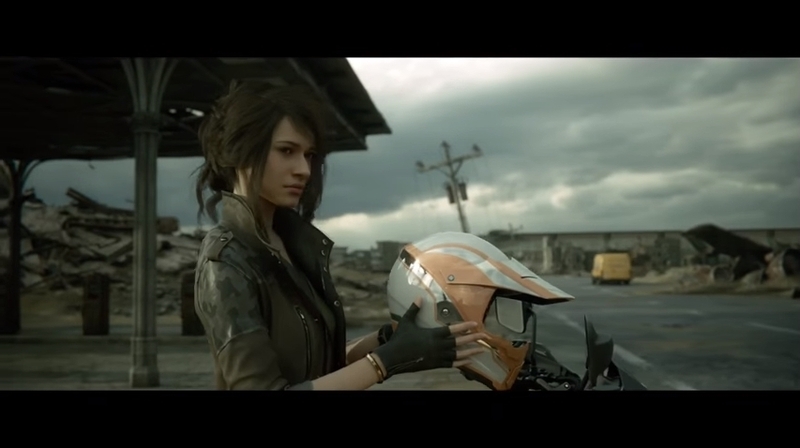 This CGI movie features some pretty stunning CGI graphics as seen in the trailer below, and also actors Aaron Paul, Sean Bean and Lena Heady will be doing voice work for this Final Fantasy spin-off movie. Well-known series characters like King Regis feature prominently in the movie, while others like Nyx, who is a member of the king’s elite force (the Kingsglaive) are new to Final Fantasy lore. In the film, King Regis will be facing an invasion by the evil empire of Niflheim that is after his kingdom’s magic Crystal, and it is clear by the trailer that the movie will have no shortage of CGI effects and action. Aside from the movie, there will also be a series of anime episodes released freely on YouTube. This anime has been created by Japanese studio A-1 Pictures, which is also behind other popular anime features like Black Butler. This series of short episodes focuses on the relationship between crown prince Noctis (the game’s protagonist) and his friends Gladiolus, Ignis and Prompto, who travel the game’s fantasy world together and will deal with enemies like villainess Aranea Highwind in combat, as seen in earlier trailers for the game. 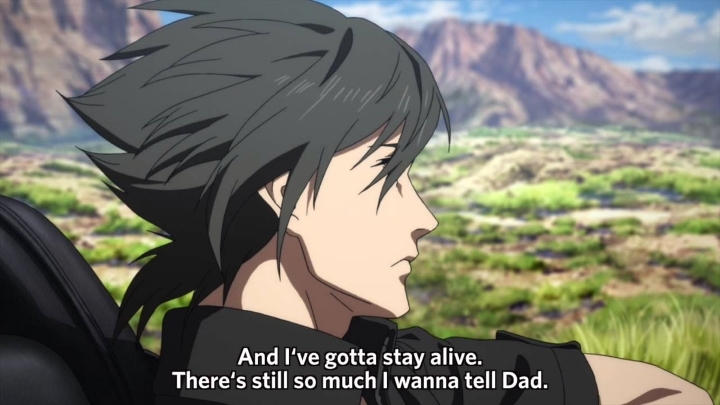 What’s in store for Final Fantasy protagonist Noctis in the Brotherhood anime episodes? The fact that Final Fantasy XV is getting a full-length movie and short anime series will not only help Square Enix promote what is already one of the most high-profile video games of the year, but might also draw non-gamers to the Final Fantasy universe, making them more inclined to play the video game. Other companies like Capcom have also resorted to “cross-media” promotion with their Resident Evil video games, which spanned a very successful movie series that has a big following even amongst non-gamers. So it is clear that making Final Fantasy as visible and appealing as possible with the movie and anime spin-offs could pay big dividends for Square Enix, and if the studio delivers on its promises then fans of this long-running RPG franchise are in for a treat come the game’s release date later this year. Next: The Division Is a Hit, but How Does Its Map Compare to Fallout 4 and GTA V? The Division Is a Hit, but How Does Its Map Compare to Fallout 4 and GTA V?